The Signature Series of 300B type products have been produced and acknowledged the world round. The Cardinal has received many awards and so has the Napoleon. All three models look very similar to the Cardinal shown above with various differences in power and output transformers that make the products unique in their own way. The Cardinal (12.5W's) sports a 6C45PI input triode that drives the 300B in self bias mode and the rectifier of choice here is the 5AR4/GZ34. The KIR v2 (25W’s, available as special order only) uses the 300B+ Matrix or the EML520 as the output tube. All three models use a grid choke on the output tube and custom magnetics from MagneQuest as well as capacitors from Black Gate. The new Corona v2 series amplifiers are available with the following output tubes that require DC heaters: 300B (6W's), 50 (6W's), 6A3/6B4G (4W's) and VT52 (5W's). 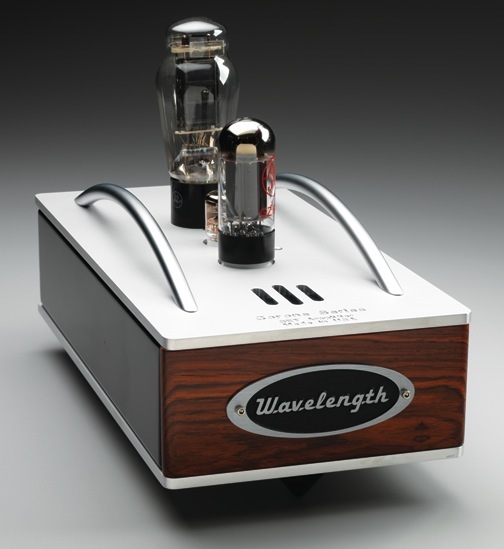 Both amplifiers use the 5842A/WE417A input driver tube. 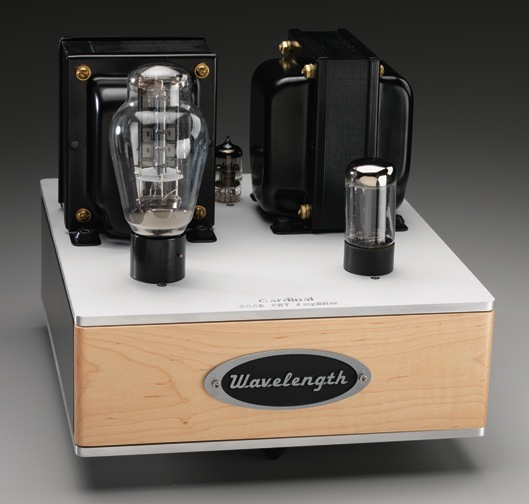 The Corona v2 Enhanced version includes higher grade output transformer and upgraded components. All models use a grid choke on the output tube and custom magnetics from MagneQuest as well as capacitors from Black Gate. These amplifiers come with fixed output impedance of 8 or 16 ohms. POR = Price on request, custom versions available for almost any tube.